2nd Manassas is behind us. The Union advanced en masse against the Confederates, but were unable to break through. The Texans nearly broke a hole through the Union lines, but they hit the Iron and Irish brigades and were stopped cold. Result : A stalemate, but the Union had fewer losses and more victory points. Dioramist Dennis Morris offering new art prints! 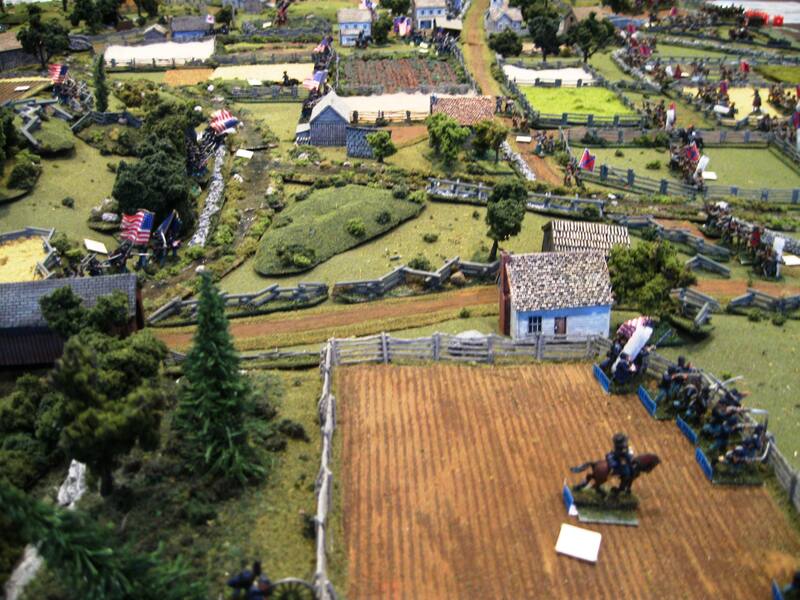 Dennis Morris of New York is one of my cyber buddies on a popular website, http://www.militaryhistory.com, where he frequently posts photographs of his massive Gettysburg diorama. He sent me a couple photos of his latest diorama effort; it is a superb effort worthy of museum quality. He sells art prints based upon photographs he takes of his diorama layout; for examples from his portfolio and ordering information, please visit his website, Diographics. Here’s his newest layout – what a magnificent terrain table! Click on the photo to enlarge it for easier viewing! What a massive layout! This is Dennis’s second layout; pix of his first effort have previously appeared here on the CHARGE! blog. Have a look! To see all my previous posts on Dennis’s fantastic dioramas, please visit the links below! 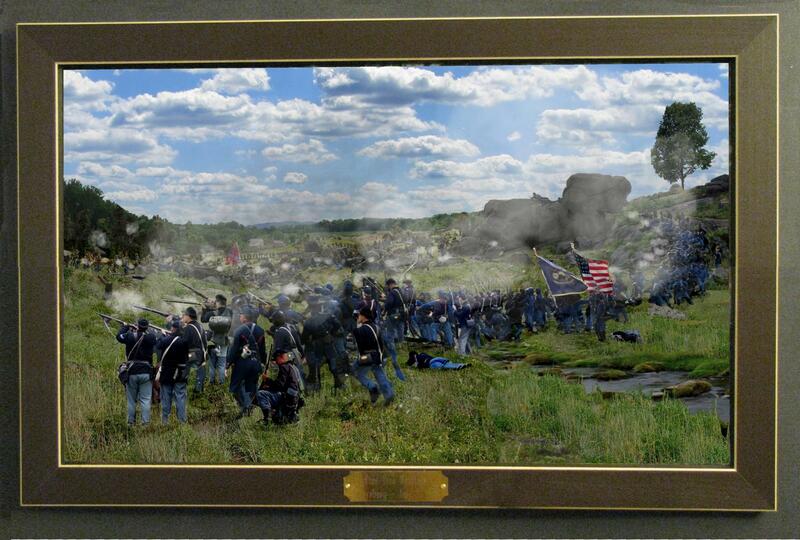 The best Civil War diorama??? CHARGE! blog averaging more than 10,000 hits per month! 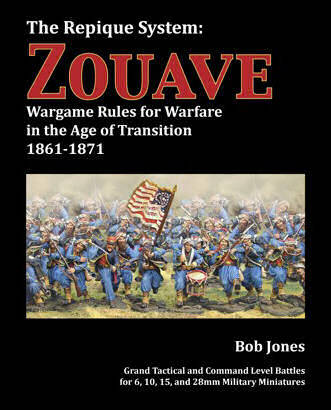 Bob Jones’ new “Repique: Zouave” Civil War rules set now released! Veteran gamemaster and rules maestro Bob Jones has long been a mainstay in the hobby of miniature wargaming. His Piquet rules set has been a popular favorite for many years at major conventions around the country, as have many of his other published rules systems. Bob has a major following on the Yahoo Group for his rules. In May 2010, his long awaited Civil War-era rules set, Repique: Zouave – Wargame Rules for Warfare in the Age of Transition 1861-1871, was released to the public and is now available through leading retailers. It’s a fine piece of work and well worth trying out at your next gaming session. Zouave is the first in a new rule series using the new Repique System. While Repique: Zouave focuses on the American Civil War combat tactics, it is very usable for other conflicts in that time frame, including the Fenian Wars, the fighting in Mexico against Meximilian, the Franco-Prussia Wars, and other lesser k known engagements. Bob’s goal was to design an easy-to-play, fun, and fast rules set that covered larger units such as divisions and armies. While based loosely on the Piquet system, Repique: Zouave has its own unique mechanisms and resulting strategies. Bib has more than succeeded in his quest to give the gamer a solid feeling for the command and control nuances of a Civil War army, as well as large unit combat, without getting too bogged down in tactics and endless charts and tables. Zouave is a well-written, interesting rules system which promises to become very popular at major conventions in the years to come once gamemasters become familiar with the new product. Easy to play Civil War rules set introduced! 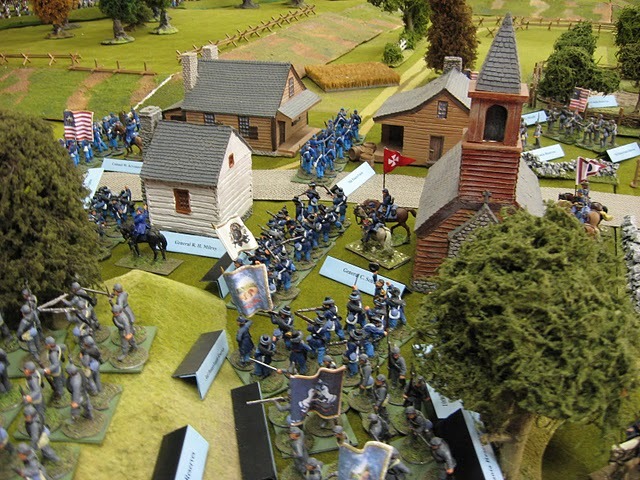 Many of you know that I consider my good friend Larry Reber of West Virginia to be the finest 15mm Civil War figure painter and innovator in the hobby today. His figures and accessories are intermixed in my collection with my own, and frankly, he does outstanding work. For some time Larry, a long-time Johnny Reb player, has been developing his own set of easy-to-learn, easy-to-play rules. He playtested them extensively at various venues, including the Advance the Colors gaming convention in Ohio last year and they received high marks. 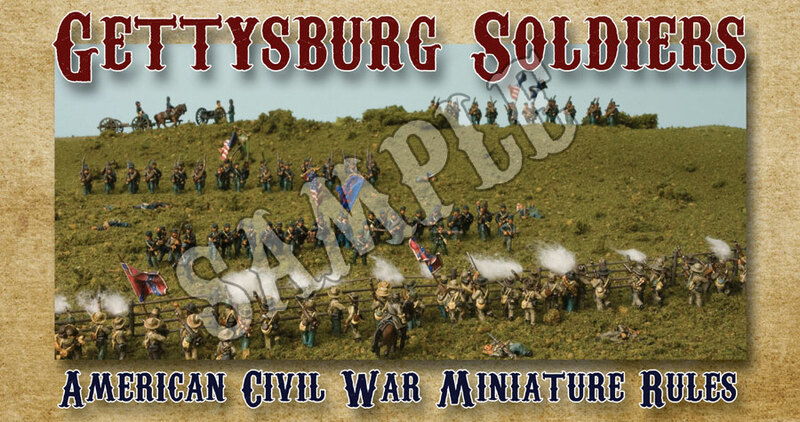 Larry has polished his Gettysburg Soldiers American Civil War Miniature Rules and had them printed on very high quality coated card stock. Filled with many color photos of Larry’s magnificent figures, the book itself is attractive, sturdy, and well organized and easy to read and comprehend. Its spiral binding enables the gamer to locate key charts readily and it lays flat on the gaming table. Mr. Reber, whose website is www.gettysburgsoldiers.com, has hit a home run with his new rules. They are exactly as advertised — fun, imminently playable, and perfect for small gatherings of gamers who want to have an enjoyable time without massive amounts of die rolls and always needing to consult tables with dozens of die roll modifiers. Stephen A. Wynalda is a well known novelist whose past work has been nominated for the Pushcart Prize, a prestigious American literary prize by Pushcart Press that honors the best “poetry, short fiction, essays or literary whatnot.” His latest work, 366 Days in Abraham Lincoln’s Presidency: The Private, Political, and Military Decisions of America’s Greatest President, takes an interesting and unusual method of examining the administration of the Illinois Rail Splitter. 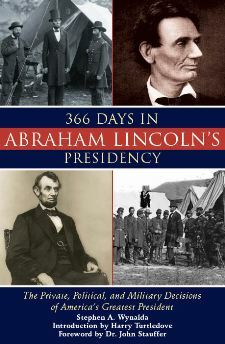 Wynalda takes 366 individual days, but orders them by events to cover the entire course of Lincoln and the Civil War years. His goal is not to present yet another typical Lincoln treatise (there have frankly been too many Lincoln books over the years, many of which are either rehashes of widely known material reworded for the latest generation or focused works that cover a particular element in great depth. This work tries to be a general work that tells the complete story of Lincoln in a broad-brush approach, without diving too deeply into any single aspect of the presidency at the expense of others. Wynalda’s outline of using individual days is different, and frankly, once you get into the flow of what the author is trying to accomplish, it works quite well. Many of the stories are indeed restatements of well know incidents, but this book surprised me with how much obscure and new information it presents — material that is interesting and helps the reader better understand the complexities of being the President of the United States during perhaps the most tumultuous period in American history. Click on the photos to enlarge them for better viewing. 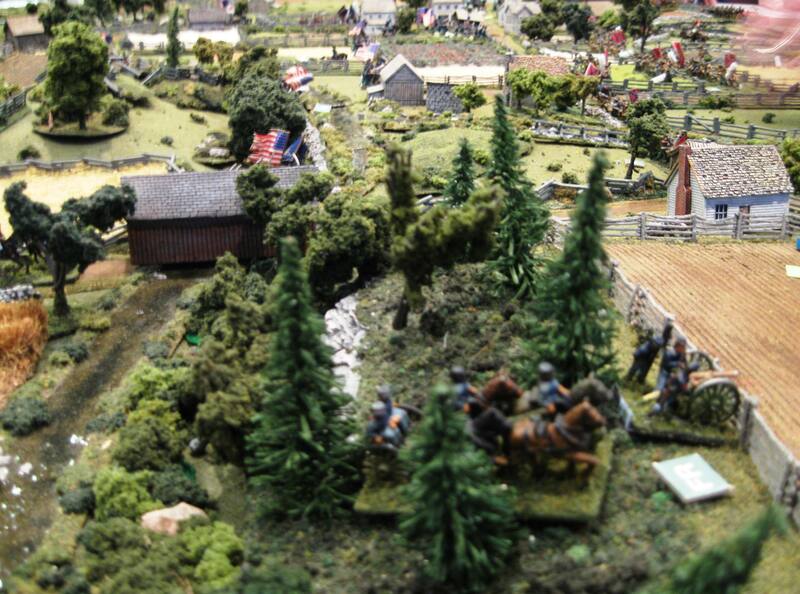 I presented a 15mm Civil War miniature wargame at the recent Huzzah! gaming convention. I used the Johnny Reb 3 rules system, and the scenario was a hypothetical one based upon George Gordon Meade’s Pipe Creek plan during the 1863 Gettysburg Campaign. Everyone had fun, and I won one of the five red ribbons for the best games of the convention. I attended the afternoon and evening gaming sessions of the inaugural Huzzah! gaming convention in Portland, Maine this weekend. 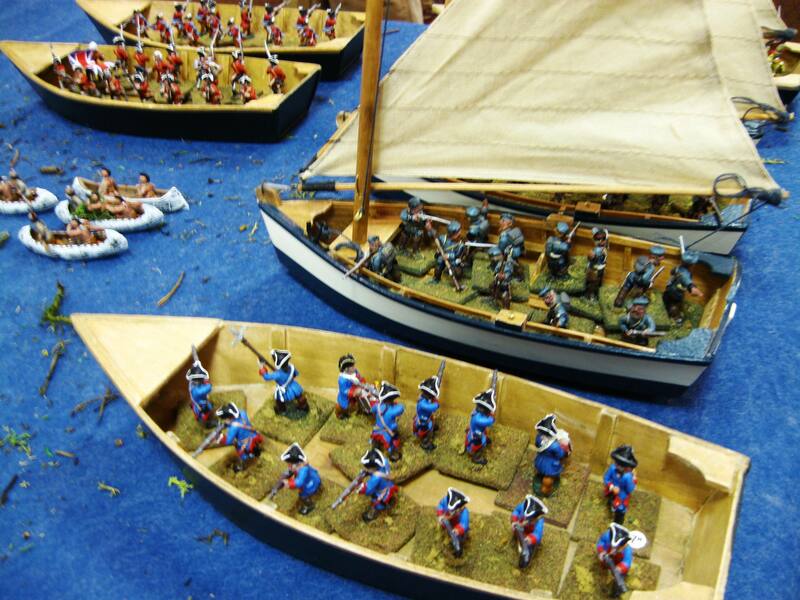 This is the first significant wargaming convention held in Maine for more than fifteen years, and from all appearances, it will become an annual event. Lots of free goodies for the attendees, including bottles (or boxes) of Vallejo paints for all attendees, and well as large bottles of local BBQ sauces, small jars of blueberry jelly, and other stash in the nice canvas goodie bags. More door prizes than you can could!!! These guys know how to put on a con! Here are several more photos of the gaming action!